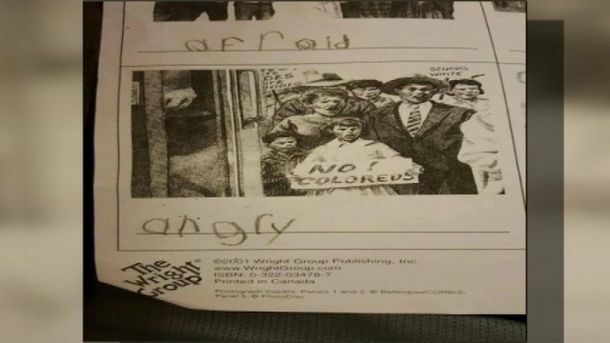 Kindergartners at Richfield Elementary School were given a lesson on “courage” that included pictures of white children shouting at African-Americans and holding signs with hateful messages on them. 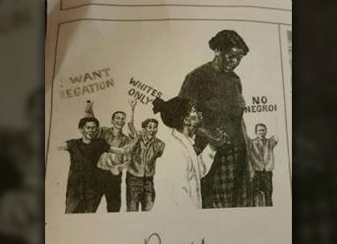 Terry Griffin, Superintendent of Stanly County Schools, told WBTV that the pictures, which show white people holding signs saying “Whites Only,” “No Negroes,” “No Coloreds,” and “I want segregation,” were included on a worksheet given to students as a follow up to a story on “Ruby Bridges,” the first African-American child to attend an all-white school in the south. Griffin added, however, that no parent had contacted the school directly to complain about the lesson. According to WSOC, the worksheets ask students to choose words to describe the emotion the people in the pictures are feeling. However, when asked by ABC whether the pictures are appropriate for kindergartners, some said definitely not. “They are too young to understand,” said one parent. Rev. Roosevelt Horne, however, with the local NAACP chapter, told WSOC-TV that he’s not offended by the images. He said he doesn’t think they will sway how a child feels about those of a different race. But some might argue that lessons like this will create that color barrier at school, especially among children so young. Stanly County Schools officials say, for now, they are not going to stop using the lesson, but say they will review their material and possibly make changes if they get a written request from a parent. The lesson on Ruby Bridges was published by The Wright Group, a product of McGraw-Hill Education. McGraw-Hill is a leading educational assessment partner and curriculum developer of the Common Core State Standards initiative. 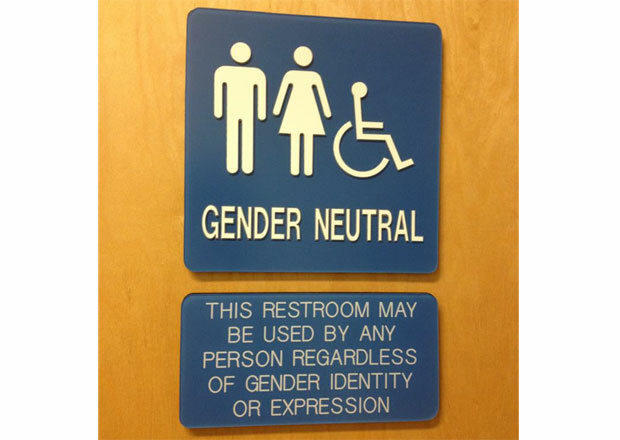 Transgender, gender variant, and gender non-conforming students now have their own bathroom at Park City High School. According to KSL TV, the “gender neutral” restroom, believed to be the first in the State of Utah, was the idea of student council member Adam Snyder. With the help of the school’s Gay Straight Alliance, Snyder took the proposal to the Park City School Board. “I usually just hold it until I go to the restroom at home,” said Vipond. While Principal O’Connor says there have been a few critical online comments about the restroom, students and staff appear accepting of the new facility. In Canada, gender neutral restrooms are in the works for Edmonton, Vancouver, and Calgary Public Schools. According to a report earlier this month from Global News Canada, the move to build the restrooms into the design of all new Calgary public school buildings was spurred by conversations with students from Gay Straight Alliance clubs and from concerns expressed by transgender students. Gay Straight Alliances (GSAs) were started by GLSEN, the Gay Lesbian Straight Education Network, an organization founded and led by former Obama safe schools adviser, Kevin Jennings. According to GLSEN, there are more than 4,000 GSAs in America’s middle and high schools today. Citing data privacy concerns and curricula materials that are “offensive to Christian values and American exceptionalism,” the Alabama Baptist Convention has voted to call on the governor, the state board of education, and the Alabama State Legislature to repeal Common Core. The resolution passed with no debate or discussion last week at the state Baptist Convention held at Lakeside Baptist Church in Birmingham. This year’s resolution calls for a full repeal of Common Core and aligned assessments, and specifically details several of the initiative’s shortcomings. 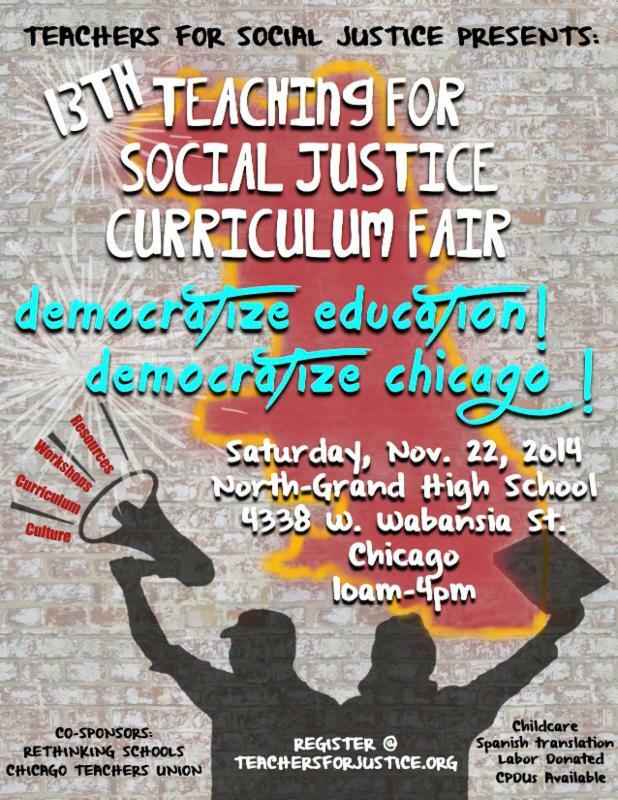 The 13th Annual Teaching for Social Justice Curriculum Fair took place this past weekend in Chicago. This year’s fair, titled “Democratize Education! Democratize Chicago!”, was sponsored by Teachers for Social Justice Chicago, the Chicago Teachers Union, and Rethinking Schools. 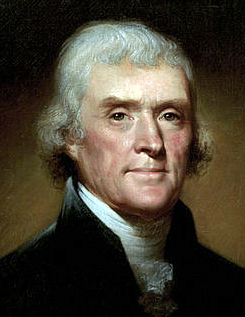 According to Teachers for Social Justice (TSJ), the annual event is an opportunity for educators and organizations to exhibit curriculum, disseminate resources, and present workshops. 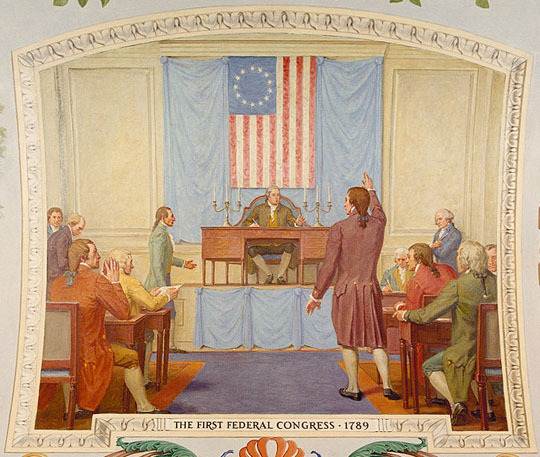 Current and past fairs exhibit lessons and curriculum resources on various social and political issues, all of which are structured to rally students to organize and take action. A keynote speaker to this year’s event was Kali Akuno, an organizer for the Malcolm X Grassroots Movement and author of Let Your Motto Be Resistance: A Handbook on Organizing New Afrikan and Oppressed Communities for Self-Defense. Participating in the keynote program was a member of Young Chicago Authors, an organization thatshowcases the work of local authors like Eboo Patel, the former Obama faith advisor who refers to America as an imperialist nation and who co-authored a book with Bill Ayers’ son, Chesa Boudin. CPS uses “budget problems” to justify closing schools, cutting programs/staff, and increasing class sizes. But does it have to be this way? How can we win the revenue our schools and students need? earn about the CPS “interest rate swap” scandal and other toxic deals from which banks and billionaires have profited, and hear efforts to win money back and make the wealthy pay their fair share to fund education. Past curriculum fairs have addressed Chicago school closings as well. In fact, TSJ provides a “School Closings” curriculum wherein students are given a list of Chicago schools slated for closure (more than 50 failing schools) and are coached by their teachers on how to organize and protest. As a result of such curriculum, and as boasted about on TSJ’s website, dozens of high school students participated in a march last year to protest the school closings. Two days later, a follow-up rally was held and attended by student protesters, teachers, parents, and community members. 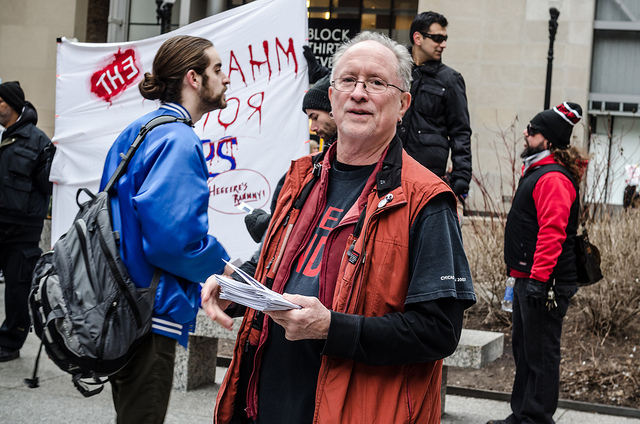 The photos below from the 2013 rally show that Bill Ayers and Chicago Teachers Union president Karen Lewis were in attendance. The Chicago Teachers Union has partnered with Teachers for Social Justice on various initiatives for many years. 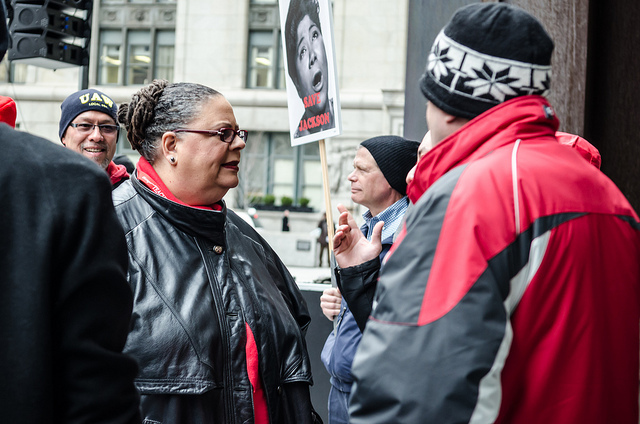 CTU has co-hosted other TSJ curriculum fairs and Karen Lewis was keynote speaker of the event in 2010. The curriculum includes an MSNBC video of Al Sharpton, Tim Wise and others discussing whether racism was an issue in Trayvon Martin’s death. 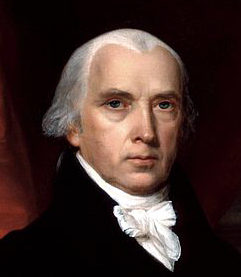 The lesson repeatedly refers to the U.S. as “imperialist” and discusses the “U.S. occupation” of the Phillipines and Cuba. Resources recommended include a video clip of Bill Moyers giving his take on the Iraq war, communist Howard Zinn’s book, A People’s History of the United States, and a book that refers to the Iraq and Afghanistan wars as U.S. occupations. 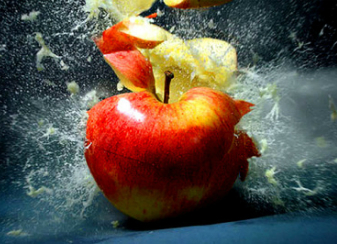 We are political militants because we are teachers… Neutrality is not possible. We understand that teaching is a political act. 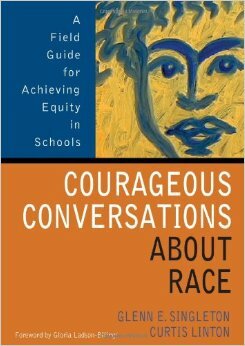 Teaching for social justice is part of a larger struggle to transform society to make it more just. We see children and youth as critical change agents essential to the struggle for social justice.